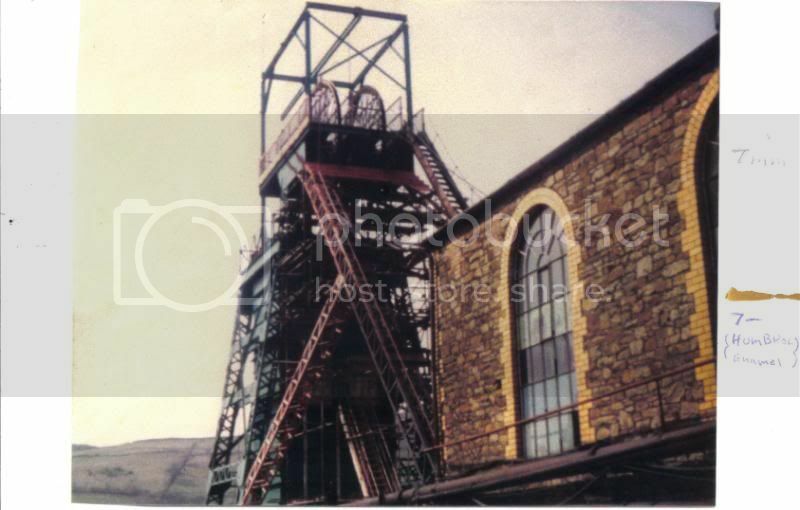 The next stage of the layout after the Bascule bridge is a model of Coegnant Colliery. 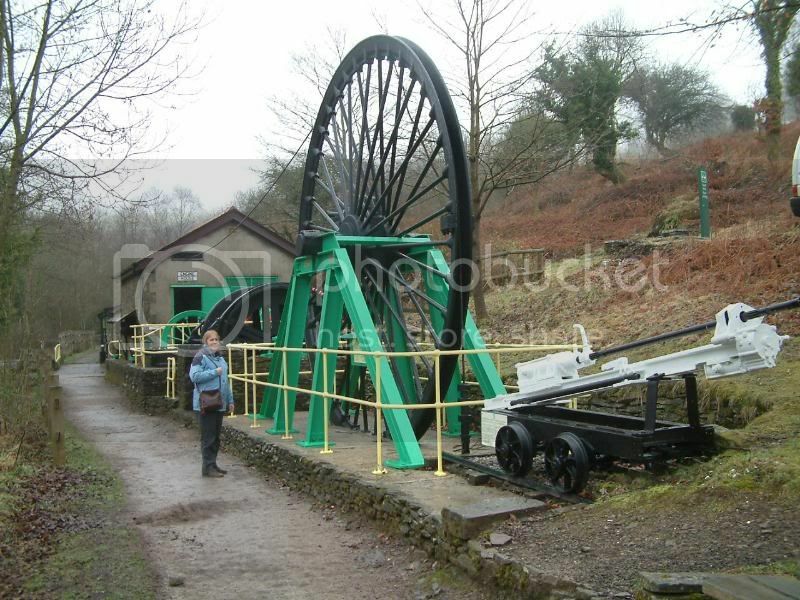 It was situated at Nantyffyllon in The Liynfi Valley, South Wales and was in operation from about 1885 to 1982. It is being modelled as it was in 1957 when it was modernised. 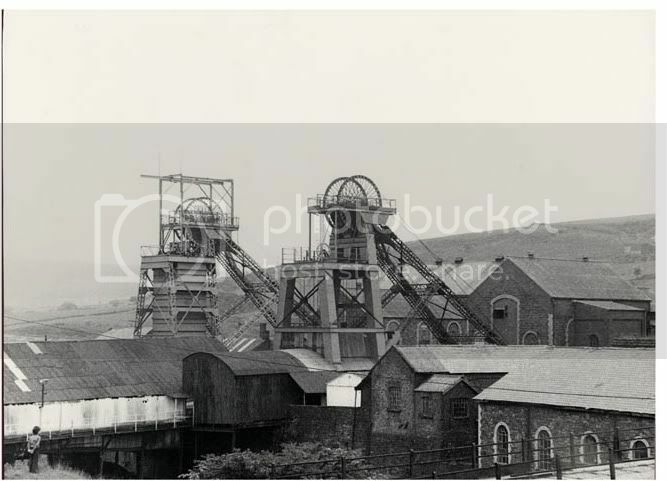 First here are some photos of the real colliery. 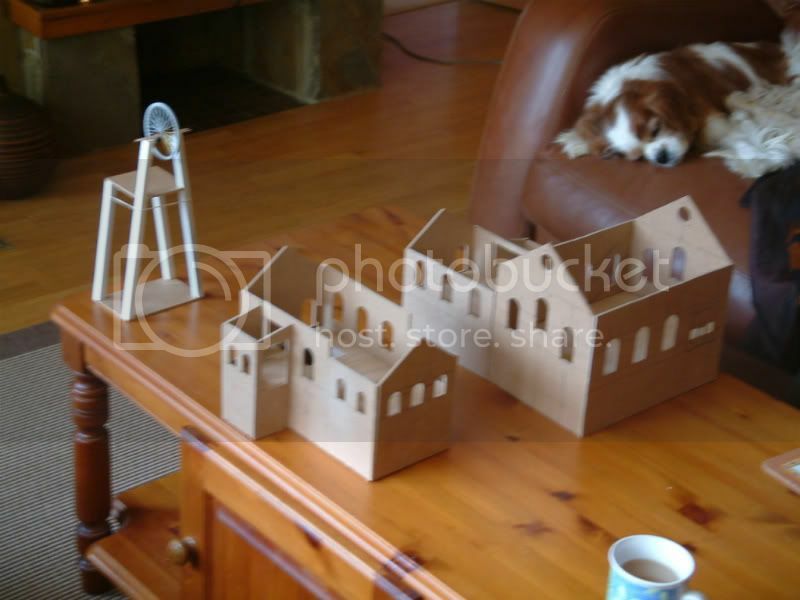 Above is a photo of one the actual sheaves, and below is a photo of my attempt to model it. 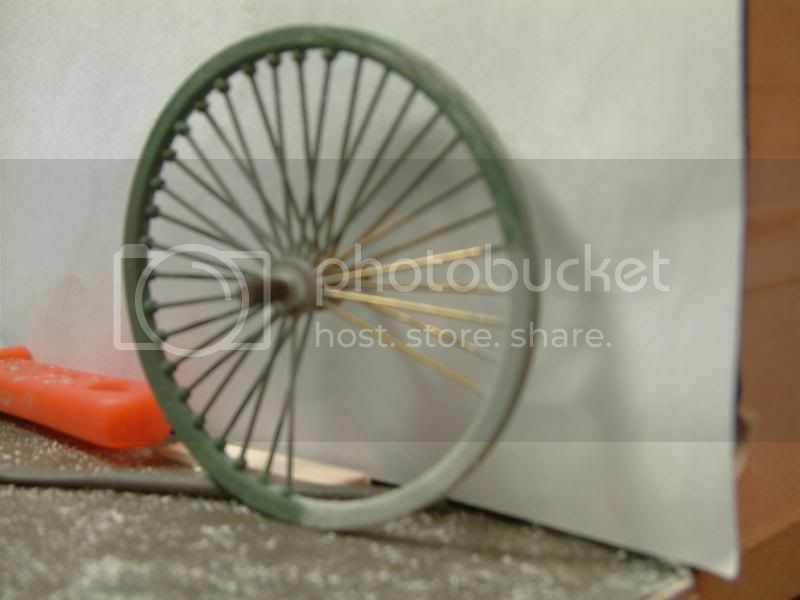 It looks like a big bicycle wheel. You've picked an interesting prototype to model. 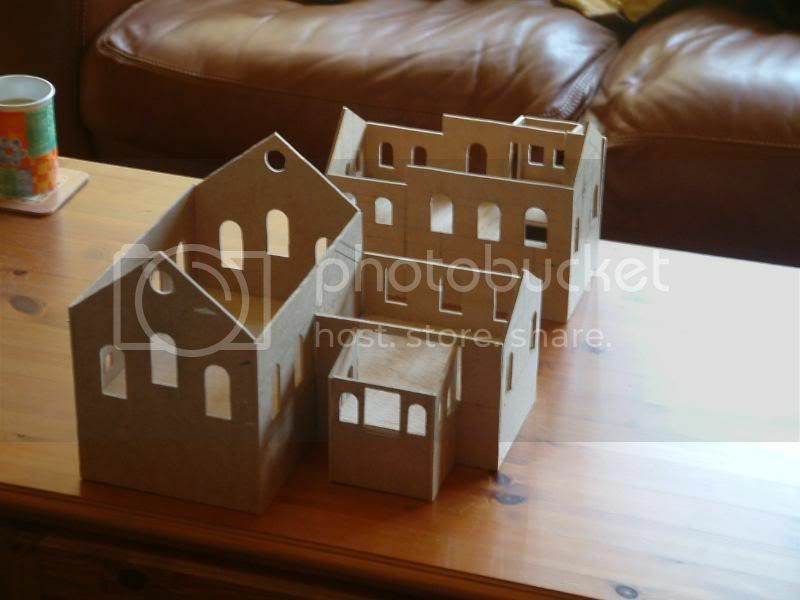 The colliery buildings were made out of 3mm thick MDF. 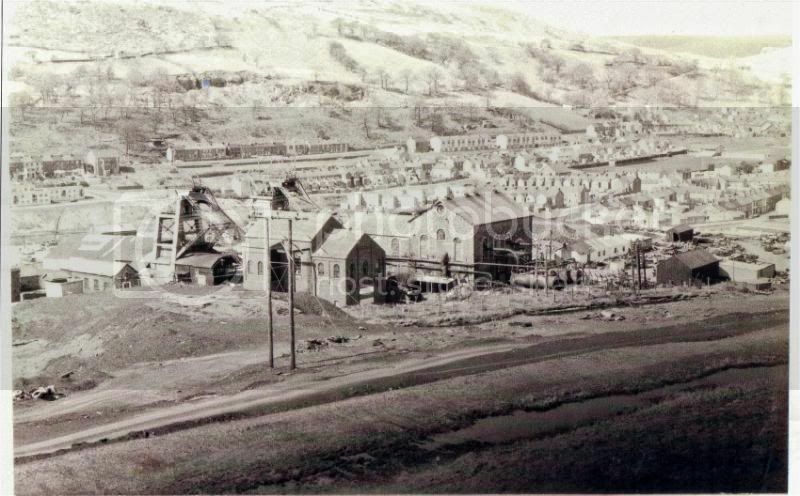 The photos above show the engine houses and compressor house. 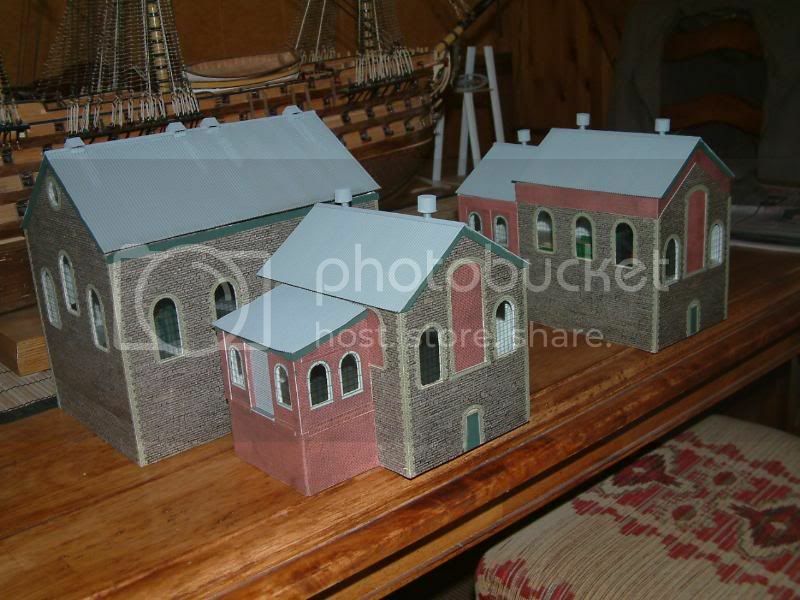 The photos above show the real engine house wall and my attempt to model them. The brick sections are the extensions built in 1957 when the engine houses were converted from steam haulage to electric. Excellent work there, Paul. I did notice the ship in the background as well... That's an enviable piece... Do you build ships as well? The Ship in the photo is a 1/90 th scale model of the Santisima Trinidad. The plans were posted, with the permission of the Spanish naval meseum in Madrid, in Autocad format on a spanish website. 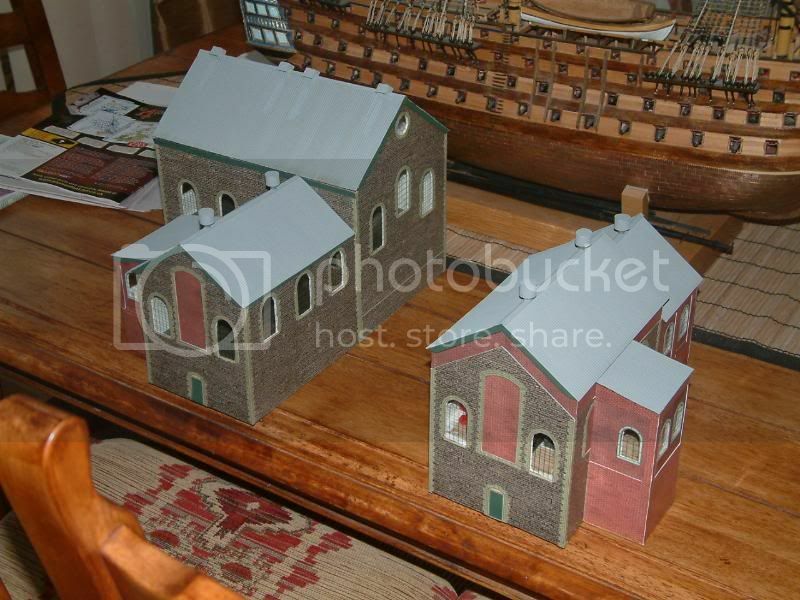 The site chronicles the scratch building of the ship by all the modellers. Sadly the Site has not been updated for more than 2 years, i only hope the site will resume some time in the future. Paul Viant. The Santisima Trinidad was a 140 gun Spanish first rate ship of the line, captured at Trafalger but sunk in a storm shortly after. Very nice work on that ship.